The all-in-one home fixer upper, Duct Tape, now has a crafty purpose. This strong-bonding adhesive tape found at several stores nation wide is being used by creative minds to add color and style to their wearables, home decor, gift packages, and so much more! Available in a wide variety of colors and styles, Duct Tape can be used to create everything from home accessories to jewelry. 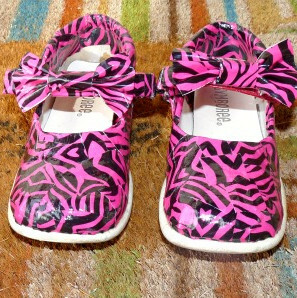 These Duct Tape Bags are a must-have for kids of all ages, and creative people are even making cute Duct Tape Shoes for little kids. There are so many colors and patterns out there that you’re bound to find a roll of Duct Tape to best suit your needs! If you feel like you want to get crafty with this awesome adhesive, you’re in luck. 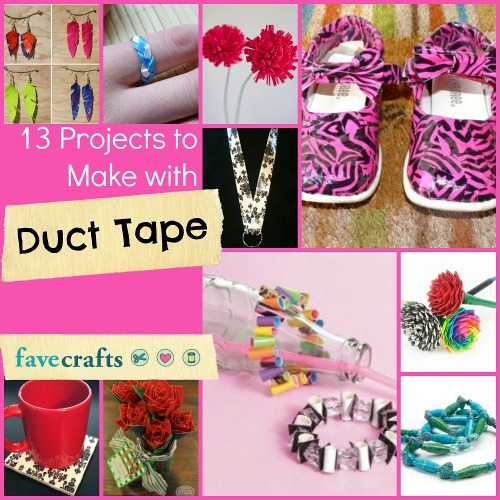 We’ve gathered up 13 of our favorite Duct Tape projects and “stuck” them right here for you to find! Don’t forget to tell us which one is your favorite in the comments below! BONUS! Want even MORE awesome Duct Tape patterns? Check out our giveaway at the bottom of the page. We just know you’re going to love it! BONUS! 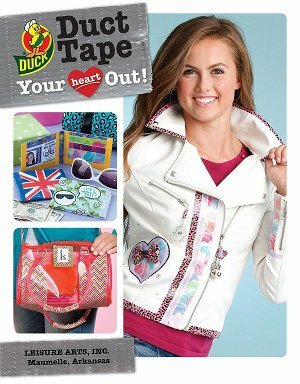 We’re giving away a copy of Duct Tape Your Heart Out!, an awesome book filled with 44 fun and easy projects using Duck brand duct tape. Covering fashion, decor, and gift ideas, this book is great for crafters of all ages…and has lots of great ideas and suggestions for adding a bit of color and style to your favorite fashion accessories. You have until August 15th to enter, and you can enter to win once a day…so the more you return, the greater your chances of winning this awesome giveaway! Head on over to the giveaway page now and register to win! Good luck! FaveCrafts.com is a website with all the craft project ideas, tutorials, videos, and tips you'll ever need! We add new projects and tips every day. Some of our readers' favorites include Christmas Crafts, Free Knitting Patterns, Free Crochet Patterns and Crafting with Kids. You will find step-by-step instructions, videos and patterns to make it quick and easy. Copyright © 2019 · FaveCrafts - A Prime Publishing LLC property. All rights reserved.